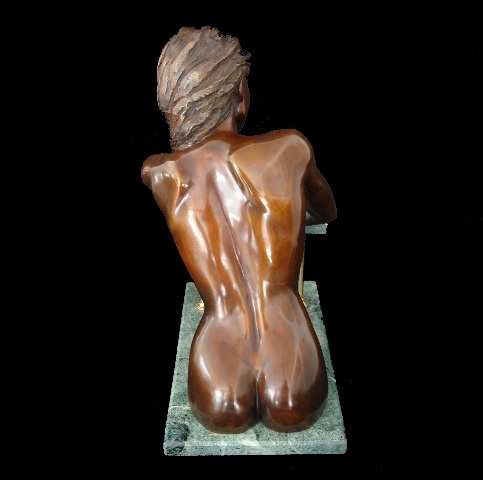 Designed to stand in the water, leaning against the edge of a fountain, with only her torso visible, Héloise’s smooth and polished back, reflect and emphasise her feminine curves. 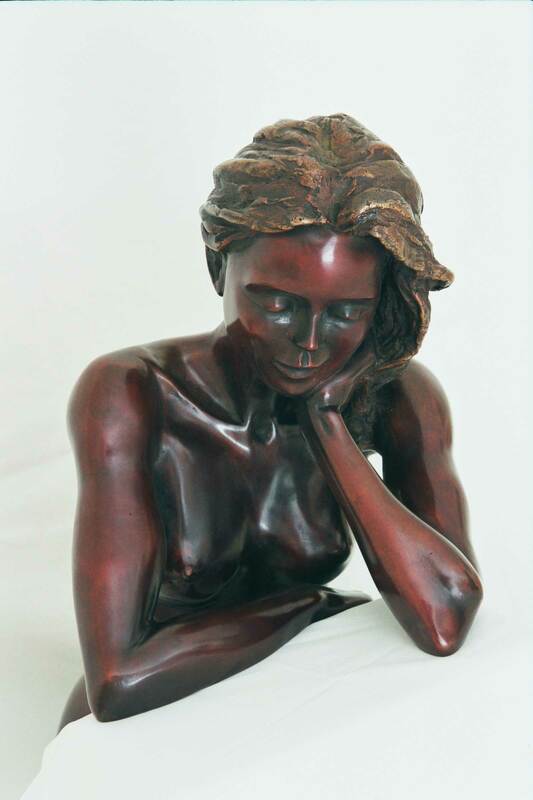 Her toned strength belies a thoughtful and calm inner essence. 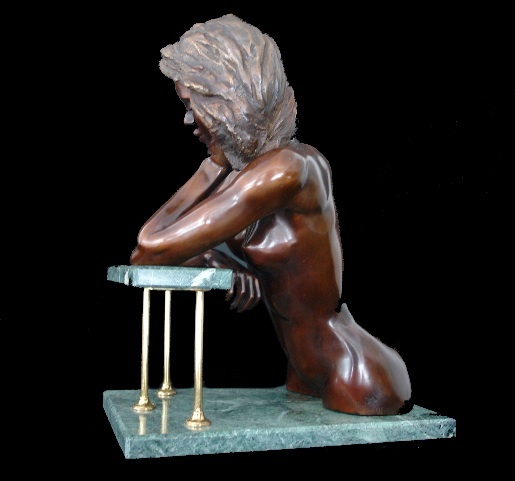 Bronze Limited Edition of 12 with traditional patina. Height 43cm Weight 18kg.